COLUS remained with us, despite all of us thinking that he would be shortly following SERVERE. Instead he remained where he was standing looking as confused as we were. A few minutes later, SERVERE appeared out of nowhere looking incredibly disorientated. Leaning against the wall trying to catch his breath, we all went over to him to see if he was okay. "What did you see? 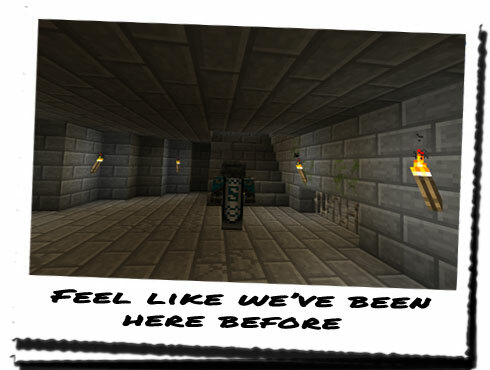 Did you see the Endermen? Did you learn about the Keystone and how it ties in with the master portal?" SERVERE stood against the wall, quiet for the time it took to gain his breath before standing up, inhaling sharply once and beginning his account of what he experienced. We found out it was very different to what we experienced, and we all began to get worried. "No no, nothing like that... Well... I was just standing here, then I felt nauseous and had to close my eyes. When I opened them I was face to face with this... Thing. It was gripping me by my arms and screaming in my face! There was all this other noise, and strange shapes in the background, before a flash of light. After opening my eyes again, I was in this strange place. It was oddly quiet, and there were more of the same creatures everywhere. But there was only one that seemed to take any notice of me... It knew my name. It said... It said 'You are not of pure intention. Be gone from this place! ', before grabbing me again and throwing me back." "Are you sure? Didn't it say anything about Keystones...?" "That image was incredibly vivid, and I don't remember anything like that..."
"Odd... We're all working towards the same goal, and yet you receive a different response... I wonder what it meant by that...? 'You are not of pure intention.'..." "It probably thought I was part of HoN Co. from the suit I was wearing..."
"I hope so... But why wasn't I taken as well? Why did I remain here...? I've never been here before." "No idea, but there's no sense in just wasting time worrying about that now. We all know why we're here, so let's find this portal!" We had been wandering around this place for some time now, probably a few hours; with UOPETA in front, we thought we could find the portal relatively quickly. But the size and complexity of this place was insane! Every corridor looked the same! Each corridor had random rooms containing only lit torches and no other indication the portal direction or any other object. The stone brick walls all looked identical, and on a number of occasions, I was under the impression we were going around in circles. "UOPETA, do you know where you're going? I'm sure we've seen this place before..."
"No I don't know my way around this place, obviously, but I know we haven't been here before. Trying to determine the correct direction to go in is hard when this building doesn't seem to comply with any of the basics that we know as standard building layouts. There are just rooms and openings everywhere, but with no indication of where they lead..."
Going around a corner to the right, we found the first change in the layout since entering the place; a stone staircase leading up suggested an entirely new layer to this building, which possessed the question: how many staircases were there...? UOPETA led us around for some time after the initial staircase, and despite the small glimmer of hope after finding it, it was quickly quashed when we found little else of interest or value. "Where are these writings and scriptures that you say HoN Co. found...? I thought there were engraved into the wall or something..."
"Some of them were, but most were on pieces of paper, similar in construction to the paper we use. The ones on the walls were lifted out, brick by brick and taken back with the exploration team." "So there are potentially some large holes around here which indicate HoN Co. have been here?" "Somewhere yes, but I don't know where. I don't even know where their entrance to this place is! 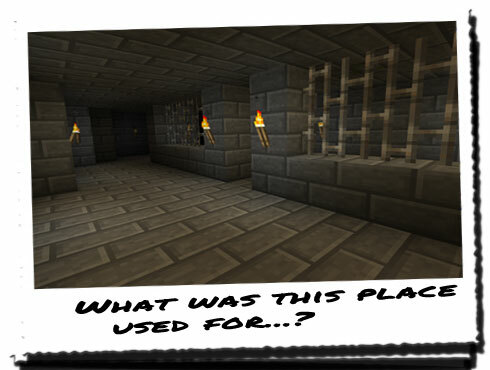 If this is only one building that belonged to the Endermen, then it's likely the writings were right." "How do you mean? I thought you said you had very little access to them...?" "I do, but I found mention of the word 'city' amongst the data collected by them, which could mean this building is one of many. Maybe hundreds, or even thousands. 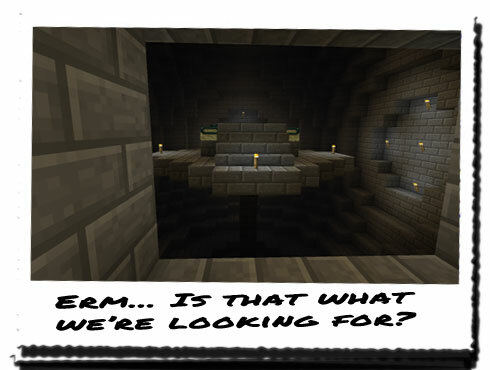 The Endermen were meant to be an advanced civilisation... Who knows how far they spread out..."
We continued following UOPETA until we found something else of intrigue, which a few of us thought was a clear sign we were going in circles. A staircase, this time leading up hinted as though we were indeed going in circles, but after climbing to the top and finding a long, straight tunnel, everyone stopped complaining. "I think we might be on the right track..."
"I think we may have found... Something..."